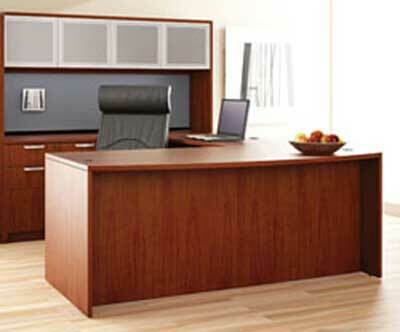 Used office furniture offers a number of advantages over new office furniture. Companies who are interested in pursuing LEED certification may be able to earn points with certain forms of repurposed office furniture and office cubicle workstations. Repurposed office furniture features a significantly better aesthetic than “as-is” office furniture. Because of its restored appearance, it adds a refreshing look to the work place. A variety of sources also suggest that used office furniture also adds health and environmental benefits to office environments. EPA estimates suggest that 3 million tons of used office furniture is dumped into landfills every year. Not only does this add to an already growing waste disposal problem, but it also requires manufacturers to expend additional energy and raw materials producing new office furniture. Repurposing used office furniture reduces these expenditures. It is an excellent and very simple strategy, for making your organization more sustainable. The impact that re-purposing preowned office furniture makes on the environment is so significant LEED points are now awarded to companies that invest in refurbishing existing office furniture and office cubicle systems. Points are awarded in resource and materials reuse and waste management. Your company can also be given credit for reducing volatile organic compound, or VOC, emissions. Not only does re-purposing used office furniture help freshen up the air—it helps freshen up the appearance of an office. We have all seen how a room can be completely reinvigorated with a simple, thorough cleaning and basic organization. Work areas appear significantly upgraded after conference room tables, private offices, desk systems, cubicle work spaces, and chairs are repurposed with new surface areas and fabrics. VOCs occur in many products that humans use on a daily basis. They vaporize and exit various materials, contaminating the atmosphere around us. New office furniture contains the highest levels of VOCs. Organizations who want to minimize these noxious emissions can do so by having Cubiture refurbish their pre-owned office furniture. Used office furniture that often appears to be on its last legs can often be restored with just a few simple upgrades. An old couch in the foyer can look almost brand new with a re-upholstering job. Wooden office furniture can be restored with a simple sanding and refinishing job, and squeaky chairs and loose cubicle panels can be easily repaired and restored to good working order. If you have been thinking about buying new office furniture, but are hesitant to invest in a new system just yet, contact Cubiture now to see if repurposing your existing office furniture is a better option for you. You can also purchase refurbished or remanufactured furniture replacements from Cubiture, so be sure to call us if you need any office cubicle or office furniture replacements. Finally, perhaps the greatest advantage to purchasing used office furniture is the near-perfect match it provides with your existing furniture systems and office cubicles. If you are simply looking to add some new pieces to your workspace, call Cubiture now to schedule an onsite visit that will explore all of your options.